The ATFT Defensive Pistol Course teaches the operator to safely and effectively deploy a handgun in close quarters. 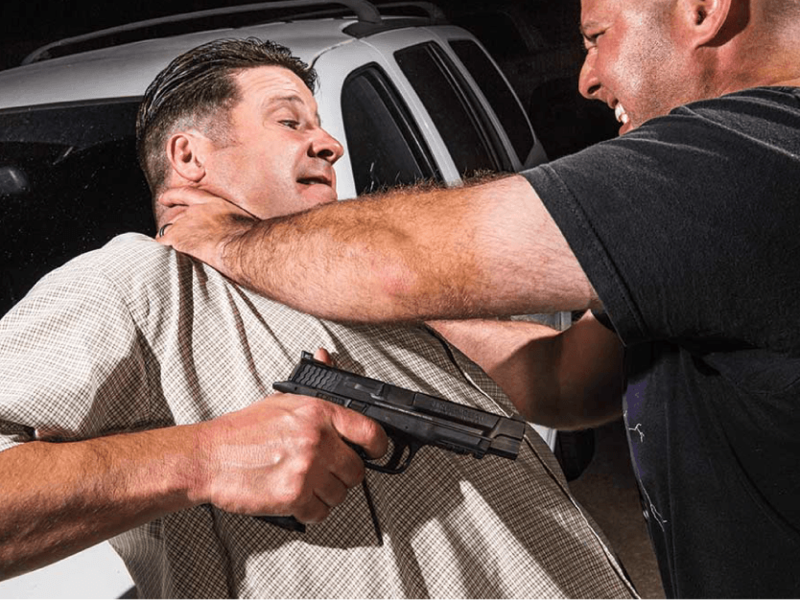 This advanced course is the second part of the two-part series of the ATFT Defensive Pistol course. This intermediate course is one of a two part series of the ATFT Defensive Pistol Course. Through the philosophy of bringing the street to the range, this entire course is conducted on the firing range. You should expect these drills to cover real life and worst case scenarios. Most lethal encounters are of short duration, within close proximity and with few shots being exchanged. Course Goal: To provide you with the crucial skills that accompanies a concealed firearm or integrates a handgun into your home defense plan. Course Prerequisites: The participant must be able to demonstrate safe firearm handling, weapons system familiarity and basic marksmanship skills.